Do you have an idea of the job that you will get after you complete your graduation? Do you think you will get an assured job, or do you think India is still lacking behind in granting placements? What if you did get a job and you don't enjoy the work but you have to stick up to it because you're not sure of getting a job elsewhere? What if, the job you got pays you the desired income but your talent somewhere gets hidden? You may not have all the answers, but Mr. Niranjan Yadav, a young 22 year old entrepreneur has the answers to all your questions. Mr. Niranjan Yadav, a Cyber Law student from Navi Mumbai is already the CEO and Founder of Switch Idea, a web based startup that focuses on social media recruitment. Let's know this young lad's story, about his ventures and what led him to be an entrepreneur. Mr. Niranjan Yadav started his first official business at a very young age of 16 - an age where many don't even have sufficient knowledge of the outer world or of their fortune, this inspiring man stepped out in this world to shape his fortune. ""To be honest, there's no proper story of what got me into entrepreneurship,"" says Niranjan with a smile. 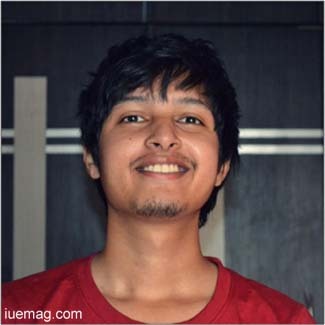 "Switch Idea is made up of a team of young people who have made it their mission to deliver professional opportunities to Indian students and fresh graduates in the easiest way possible,"says Niranjan. It began as a part-time project in 2013, when founders Niranjan Yadav and Rohit Maku realized that there was a sizable gap when it came to connecting freshers to potential employers. The need was always there but there seemed to be no proper platform which could connect them both. "As every startup has its own story, we too have one. One fine afternoon, when it was a break-time in college, a student from BLS first year was having a chat with his friends over tea and snacks at their regular hangout spot called "Tum-Tum Canteen" (A small but happy place outside the college). It all started with a small question - We have more than 50 lakh students graduating every year in India, but how many of them are able to get the jobs that they want? There are numerous job portals ruling out there, but how many are actually delivering the right opportunities to the right students? This is where Switch Idea was born," says the young lad. He introduces us to the idea that became so big within such a short span of time. Currently, they are a small army of super creative coders, designers, writers and future lawyers, all with an insatiable desire to create something better for the world. With a multi-talented team they combine their creative forces to help connect the right students to right employers with ease. Their aim is to get rid of the tedious ways that Indian students have to go through to secure a promising internship or a fresher job. Furthermore, they want to take the power of the internet to all parts of India and not just the cities. "We plan to increase our global footprint when we identify new opportunities in other countries in the days to come," says Niranjan with a shining hope in his eyes. Their mission is to be the finest and the most effective opportunity platform for Indian youth in the next few years. They have been working on this module of extracting real juice from the best companies and turning them into channels of employment for students. Mr. Niranjan has emerged as a big name with Switch Idea after many of his unsuccessful works. But he didn't lose hope or even doubt his path. He kept his trust in God and moved on facing every challenge that came in his way and, today, he looks at himself as not only an entrepreneur but as an inspiration to fellow youngsters who couldn't find or decide their paths. "Apart from regular writing, I am interested in day-to-day learning of new concepts and things," says this young inspiring entrepreneur. Thanks to Mr. Niranjan for sharing his valuable thoughts and vision for a better future of Indian youth. I am sure that he'll gain more in life and, on behalf of IU e-magazine, I wish him all the very best for accomplishing his dreams and fulfilling others' dreams too. Any facts, figures or references stated here are made by the author & don't reflect the endorsement of iU at all times unless otherwise drafted by official staff at iU. This article was first published here on 8th July 2014.